It is not easy to be a millennial these days. So many decisions to make but not enough time to think everything through. Maybe some young people would like to change their surroundings, to try something new and exciting. Moving away from home can seem frightening or even a little bit intimidating. This should not discourage you. You even have the advantage of choosing any of the best cities for millennials in the United States that fits your imagination without worrying about papers or visas. You only need determination and a goodwill. A new city offers many different choices that might not be available in your city. 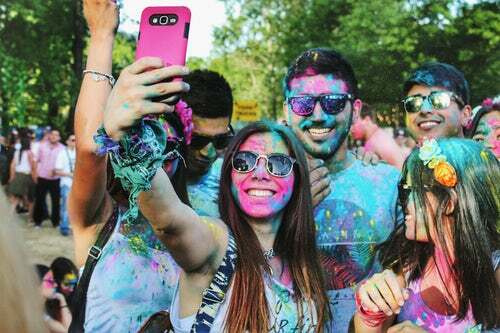 If you cannot decide which city is the best for you, here are the best cities for millennials. Don’t be too surprised if you don’t see some of the most popular US cities on the list. Before the actual list, here are some factors you need to consider in order to choose one of the best cities for millennials. The cost of living. One of the most important questions is the cost of living in the new city. Be sure to check if can afford to live in a new city. Job opportunities. Another thing to consider if you are planning to move to a different city. Renting or buying properties. Check if you can find the house of your dreams in a new city. Commuting. When you choose your residence, make sure to pay attention to commuting. You will want to spend less time commuting, and more enjoying life. Entertainment. Lastly and for some, the most important entry on this list is entertainment. Be sure to check the hot places for millennials. 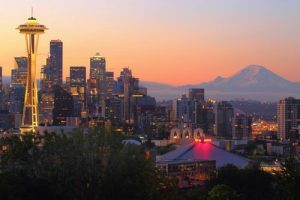 Seattle’s population is around 730,000 people, which makes this city to be one of the largest in the state of Washington. It is extremely popular among millennials since it is an urban city with many things to offer. There are many coffee shops, restaurant, bars and other hot spots for millennials. Seattle is also one of the most literate cities in the United States. The half of the population holds a Bachelor degree or higher and over 90% has a high school degree. You might recognize this city from popular TV series Grey’s anatomy. This city has an interesting music scene. It is a birthplace of many rock bands and jazz musicians. If you choose Seattle, you will meet many young intelligent people. The only thing you will always have to bring with you is an umbrella. Pittsburgh is another one of the best cities for millennials with the population over 300,000 people within city limits. It often makes on lists as one of the most affordable and livable cities in the United States. It also holds the title as one of the cleanest cities and it faces minimum risks of natural disasters. The crime rate is pretty low, which makes Pittsburgh one of the safest cities. This is yet another advantage that this city has to offer. Pittsburgh is a home to many colleges and universities. It offers one of the best salaries to teachers in the country and it is competing with New York in corporate headquarters employment. There are many interesting places to visit and see. Millennials will not be disappointed if they choose Pittsburgh as their new home. There are almost million people living in Austin and with a reason. Austin has a quite diverse and interesting population, consisting of students, musicians, government employees, high tech employees, and the LGBT community. It’s a home to numerous lakes and rivers, so for millennials who want to live near water, this is the perfect destination. Austin, alongside with Pittsburgh, is one of the cleanest cities in the United States. It is very strict with the non-smoking rule that applies to all public places, even restaurants, and bars. Still, Austin is known as “City of the Violet Crown” because of the beautiful colors across the hills that you can see just after the sunset. It has an interesting movement to preserve small and unique local business from large corporations. Therefore, if any of the millennials are looking for the city with a special character, then Austin might be just for you. 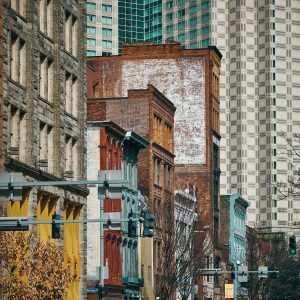 Nashville is the most populous city in the country of Tennessee with the population over 600,000 people. Like other cities on this list, it has many universities and colleges, perfect for the new students. Also, Nashville is the city known for the country music, so any fans of this genre will certainly want to come and live here. Nashville is one of the Snobbiest cities because of its local cuisine that consists of hot chicken, hot fish, and barbecue. Millennials who want to try delicious food, the is the best city for you. More than 3% of Nashville’s area is compromised by parks and gardens. Nashville even has the replica of Greek Parthenon in the Central Park. 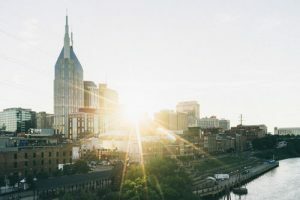 Any young person who likes hiking and taking walks around parks, Nashville is one of the best cities for millennials. For the end, here are some tips on how to make your move less stressful once you have chosen the city of your dreams. It could be any of the four cities on this list. The most important thing is to hire a reliable moving company that will take care of your things. Do the proper research beforehand, get to know local laws and government and the new neighborhood. Organize your things. Best would be to separate them into categories. It will be much easier to unpack. Another useful tip, don’t pack anything you will not use since it will only be in the way. It will probably cause additional stress for you on a moving day. Check everything twice and you are good to go to your new adventure. Therefore, be sure to check the best cities for millennials if you have an interest in moving to another city.